The Comprehension of Jokes consolidates and develops the tradition of analysing jokes, by deﬁning a framework of concepts which are suited to capturing what happens when someone understands a joke. The collection of concepts presented improves upon past work on joke analysis, outlining a simple model of text comprehension which supports all the assumptions necessary for a model of joke-understanding. This proposed framework encompasses and integrates a relatively wide range of disparate factors, including incongruity, superiority, and impropriety. Written by an expert in the field of humour, it provides a conceptual basis which will help to map out the landscape of joke comprehension. The book draws on past suggestions in many areas, primarily philosophy, psychology, linguistics, and artificial intelligence. Current theories of how people understand non-humorous texts offer some important ideas, such as the need for representations of differing beliefs about the world, or the way that predictions may occur during the understanding of a text. The framework improves the clarity and coherence of some existing theoretical proposals and combines these ideas into a well-defined way of describing how a person understands a newly-encountered joke. All this is illustrated using typical textual jokes, some analysed in considerable detail. 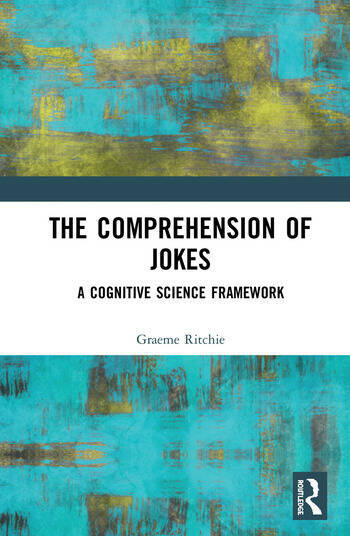 The book enables hypotheses about why jokes are funny to be stated more precisely and compared more easily, and should contribute to the development of a fuller cognitive model of joke comprehension. The Comprehension of Jokes will be of great interest to academics and postgraduate students in humour research, as well as those in disciplines like linguistics, psychology, and cognitive science who wish to explore the ﬁeld of jokes and humour. 12 What’s in a joke? Graeme Ritchie began his academic career in artificial intelligence in the 1970s, and for the past twenty-five years has increasingly concentrated on research into humour.